What to Take to Potluck? 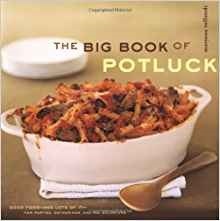 Potlucks are the quintessential American gathering. Church suppers, neighborhood block parties, tailgate parties and office parties—who among us doesn’t attend these a few times each year? Take the guessing out of what to bring with these titles from our digital collections. 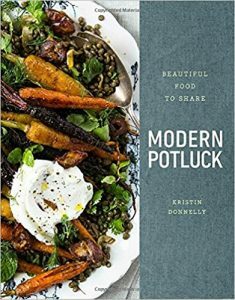 Modern Potluck is a cookbook and guide for today's potluckers that delivers Instagram-worthy dishes packed with exciting, bold flavors. These 100 make-ahead recipes are perfect for a crowd and navigate carnivore, gluten-free, dairy-free, vegetarian, and vegan preferences gracefully. With beautiful color photographs and lots of practical information such as how to pack foods to travel, Modern Potluck is the ultimate book for gathering friends and family around an abundant, delicious meal. Imagine yourself at the world's grandest potluck meal! Where to start? What to try first? That is the feast you'll experience when you open Fix-It and Enjoy-It Potluck Heaven. More than 600 recipes for stove-top and oven cooking, gathered from home cooks, fill these pages. Exhilarating and tantalizing as it is, a potluck meal quickly turns into a memory. Nor can you sample all the dishes spread before you. And you're left without a way to re-create the delicious food you've eaten. Fix-It and Enjoy-It Potluck Heaven remedies all of that! Its recipes are the signature dishes of great home cooks from across the country. They are easy recipes to make--and to take. These recipes are also treats for your daily meals. They will bring your family happily to your table. Use them at home (and not just for carry-ins). The recipes work. The ingredients they call for are readily available. With her dinner series Sunday Suppers, Karen Mordechai celebrates the magic of gathering, bringing together friends and strangers to connect over the acts of cooking and sharing meals. 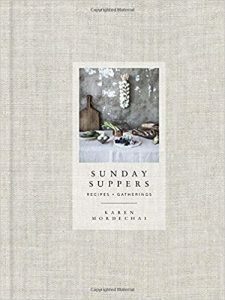 For those who yearn to connect around the table, Karen's simple, seasonally driven recipes, evocative photography, and understated styling form a road map to creating community in their own kitchens and in offbeat locations. This collection of gatherings will inspire a sense of adventure and community for both the novice and experienced cook alike. 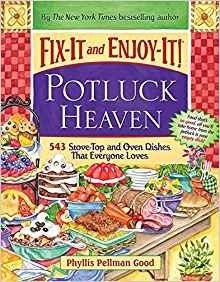 Maryana Vollstedt, queen of the best-selling Big Book series, has put the luck back in potluck with more than 250 delicious, no-nonsense recipes. From Chile Cheese Wheels and citrusy Sunburst Salad, to Moroccan Chicken with Dates and Couscous and luscious Hazelnut-Cappuccino Cake, these crowd-pleasing dishes are perfect for toting to family reunions, book clubs, showers, church suppers, picnics, and parties galore - and have everyone begging for the recipe. With tips for streamlining preparation and suggestions for transporting treats safely, this heartwarming collection guarantees that dish will go home empty!